Today I am pleased to feature a guest post from my friend Michelle Carver over at Broken Is Beautiful! Michelle will be talking about mommy guilt. Something all mommy’s have in different areas. Today, Michelle opens her heart for us and reveals her mommy guilt. Enjoy! The ways that I beat myself up for the way that I parent my children are pretty diverse. For me, there is deep guilt that I have about the way that I am raising my children. Then there is surface level guilt that I have about the way that I am raising my children. I’d like to focus on the surface level mommy guilt that I have in regards to what I do with my family. The two topics that I want to mention are TV and organic food. For me, these are two areas where I tend to lean on the guilty side when I am comparing my views with other moms’ views. Let’s start with what I feed my children. I try to buy mostly healthy food. I am not an organic food buyer nor am I an over the top health nut, but I do pride myself in how we fuel our bodies. I try to be an example to my children by showing them how exercise and good eating habits are important even if we aren’t buying and eating organic food. Yet, I have mommy guilt over this. I choose not to spend the extra money on organic food. However, I still buy really healthy food for my family and as a whole I feel like we are a healthy family. I am not saying that there is anything bad about either choice that you make for your family, but for our family we watch TV, and we are also really active people. We do a lot of outside activities, and I don’t just stick my kids in front of the TV everyday and all day long. For us it works to allow our children a limited amount of TV. I was raised this way and I will raise my children the same way in regards to TV. I put parameters around when and what my children can watch. I have mommy guilt over this and there is no reason for me to feel guilty about allowing my children to watch TV. Why do I compare myself to other people? Why? It’s a lose-lose-battle. God designed us to be different. What I’ve had to learn is that what works for my family will look different than what other families are choosing to do. Therefore, I must let go of the mommy guilt that I carry with me because it does not do me any good to hold onto to this guilt. 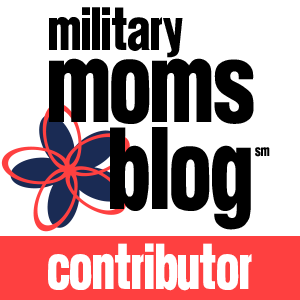 1 Response to "Guest Post:Saying No To the Mommy Guilt Trip"
Good stuff Michelle. The guilt we put on ourselves as mothers is so needless! I am slowly learning to look at the bigger (and I mean MUCH bigger) picture and focus on walking in obedience to God moment by moment without evaluate myself SO much. Thanks for the reminder!